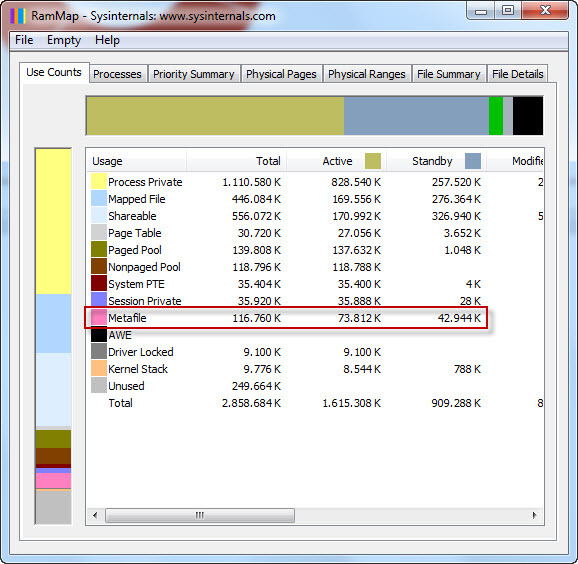 On Windows Server 2008-R2 File Servers with Access-Based Enumeration (ABE) enabled, you might notice abnormally high CPU-usage when many users are opening session or browsing through shared folder (and sub-folders) at the same time. Obviously this is caused by ABE enumerating folders the active user(s) are actually granted access to. This may become problematic when the underlying folder structure involves many sub-folders. While installing the fix will require a reboot, you will also have to restart the LanmanServer service for the ABELevel parameter to be taken into account if you set it higher than 0 (default value if omitted). Note: you can actually set a value higher than 2. Categories: File & Print Services, Software Updates, Windows, Windows Server, Windows Server 2008/2008 R2 | Permalink. Categories: Performance, Windows, Windows Server, Windows Server 2012/2012 R2 | Permalink.